Do you stare at bytes? Reconstruct control flow? Recover datastructures? Let us have a chat about tools and methods! How do you locate your stack variables? Do you care about what happens on the heap? Have you ever seen overlapping instructions as part of local wildlife? What is the strangest memory access scheme? Did the compiler ever trick you? This session is for anyone interested in analyzing binaries. How to build the next multi-architecture disassembler. Control flow reconstruction beyond if-then-else. Is there dataflow beyond register, stack and heap? Please call congress-2124 (DECT/GSM) and give me a hint about your attendance/interest. Hint: Use the "history" function to access older revisions. "Cuts exploit development time by 50%"
Graphical tool for manipulation and inspection of .class files. 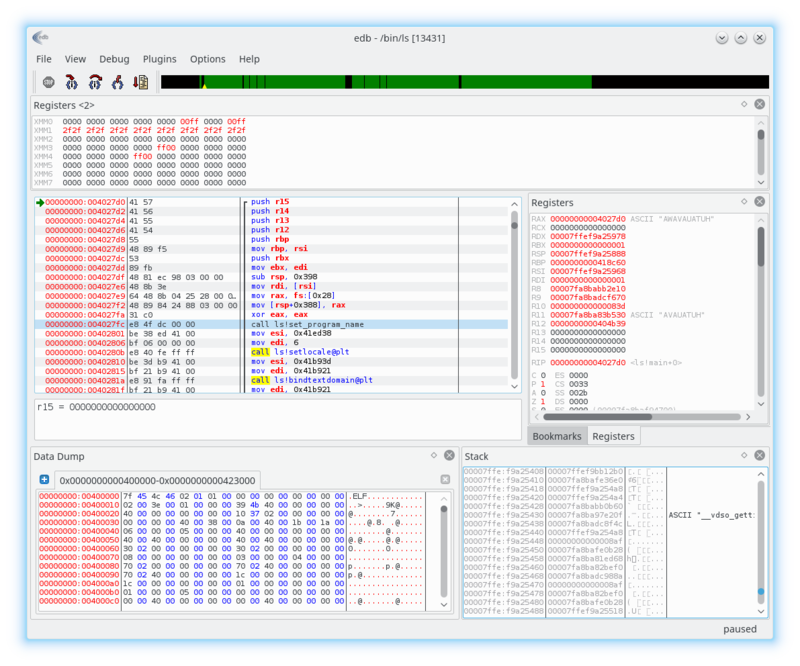 "The high-performance reversible debugging tool for Linux"
HCD detectsHash & crypto Algorithmes for PE files. It can currently detect more than 90 different signatures . We all hope for a multiplatform/multiarchitecture reverse engineering platform! Thank you for attending! Sorry for not having booked a proper room, will do so next year.